PARIS --- French insistence on unrestrained exports is threatening a fighter jet project it has agreed to develop with Germany, the German weekly Der Spiegel reported Oct 26, because France recently threatened to pull out if Germany did not guarantee that the new fighter would be sold abroad without restrictions. The project, previously designated Future Combat Air System (FCAS) and now called New Generation Fighter (NGF), is intended to replace the Eurofighter Typhoons operated by Germany and the Dassault Rafales operated by France, as part of a future system of systems that will also include airborne early warning aircraft, tankers, drones and possibly air-defense radars and missiles as well. Behind the scenes, there are strong tensions between the partners on the export issue, and new details about the dispute have emerged from a confidential report by the German ambassador to France, Nikolaus Meyer-Landrut. In four pages, the diplomat reported on a meeting of senior officials of both governments that took place on September 21 in Paris. A report about this meeting was revealed by Der Spiegel. France and Germany have been jointly developing and exporting weapons since the 1960s, and their widely different arms export policies were reconciled by a bilateral agreement signed in 1971 by the two countries’ then defense ministers, Michel Debré and Helmut Schmidt. According to this agreement, which is still valid, both countries agree to allow the other to export weapons developed in common. This arrangement worked satisfactorily until the middle of this decade, when under the influence of Economics Minister Sigmar Gabriel Berlin began to oppose sales of some French weapons with German components. France let things slide as long as this only affected minor contracts or could be worked around, but it is clearly not prepared to risk seeing future exports of combat aircraft constrained by Berlin, especially since the political trend in Germany is clearly towards greater restrictions. 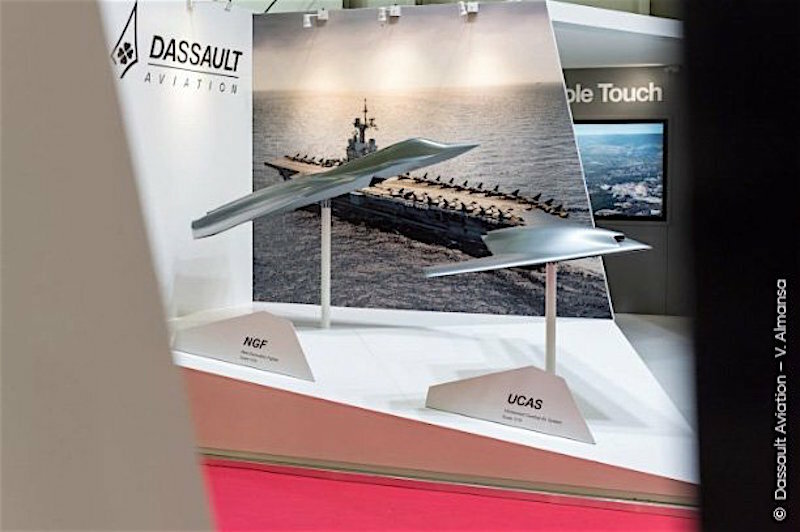 “Co-developing a French-German combat aircraft requires an agreement on exports – a subject that Berlin prefers to avoid,” tweeted François Heisbourg, the Chairman of the London-based International Institute for Strategic Studies (IISS). According to the German ambassador’s report of the meeting, French Secretary-General of Defense and National Security Claire Landais said that full export rights for of future fighter jet and other armaments would be "central to the financing of the overall projects," adding that "long-term guarantees for future export of the systems are therefore indispensable" for France. At the end of the meeting, Landais even threatened to pull out of the project. "Only if such guarantees are provided can billions of euros of investments be launched," she is reported as saying in the German ambassador's confidential report. Clearly, Paris is questioning the future of this prestige project as never before. The CEO of Airbus, Tom Enders, called for a quick agreement between the two countries. "Berlin cannot constantly call in Sunday speeches for more European cooperation, and then refuse it when it becomes concrete," he told Der Spiegel. Airbus is, with Dassault, the most important company involved in the new aircraft’s development. Enders criticized German restraint. Basically, Berlin is telling our "French friends that their foreign and security policy is not considered responsible." Enders spoke of an "ethical self-exaltation", which "blocked in the end a common Franco-German defense". The German debate on arms exports will now considerably complicate the future course of the project, as after the brutal assassination of journalist Jamal Khashoggi in Istanbul, even the Chancellor has announced a complete stop to all arms exports to Saudi Arabia. To give the French a free hand in the fighter jet project would be difficult to assume politically and to explain. But time is pressing. Originally, the two partners wanted in early 2019 to conclude a binding agreement both on the fighter jet and the idea of a jointly developed battle tank.